In today’s world of ever-changing technology it doesn’t take much for a website to appear old and outdated. While a complete web redesign often makes since, there are often more simpler, affordable ways to spruce it up. Use white space. With reading devices becoming smaller and smaller the white space around page titles, images and text allow for better readability. Ditch the stock photography. It is easy to pick out generic stock photography. Using real images of your staff, products and services can build trust and can make you stand out from your competitors. No stock photography can connect to your brand better than your own real image. Click here to view an infographic from MDG Advertising about using high quality photos and why it matters. Use images wisely. Strategically place images on your website to break apart text. Use in conjunction with white space mentioned in tip number one and be sure it is relevant to what is being said on the page. Spruce up your website theme. Updating colors, buttons, images, spacing and layout can bring a whole new look to your website. Be sure to keep it consistent with your brand. 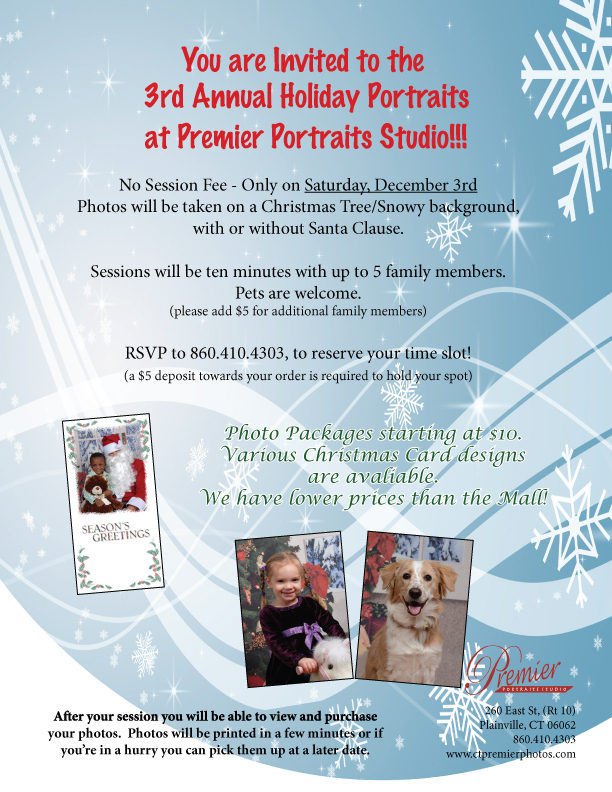 Premier Portrait Studio is a professional photography studio located in Plainville, CT. We specialize in school photography, event photography, corporate/ business portraits, weddings, engagement sessions, family portraits and more. Contact us today for more details. Put an end to the shivering! Although the winter season hauls in frosty chaos and chilly temperatures, our warm and welcoming studio will make taking holiday portraits seem like a mere breeze! On Saturday, December 3rd only, bring up to 5 family members (please add $5 per additional member) and choose between a Christmas Tree/Snowy Background, with or without Santa Clause. Sessions will last ten minutes and there are no session fees. As always, pets are welcomed! Photo packages start at $10. Various Christmas card designs are also available. Be sure to RSVP to (860) 410-4303 to reserve a spot! All that is needed is a small, $5 deposit. After your session, you will be able to view and purchase your photos, which will then be printed in a just few minutes, or be picked up on a later date. We are excited to take part in your holiday portraits this year, as we are eager to see existing clients and to meet new ones! Happy Holidays! As a business owner, a fresh graduate, or simply any job seeker, having the right headshot on social media will bump you towards the front of the line for an interview and bolster your overall professional brand. The truth is that LinkedIn demands professionalism – Facebook doesn’t. While Facebook lends itself mostly to maintaining personal relationships, LinkedIn is the conduit for professional networking. While it may be appropriate to post a selfie on Facebook, LinkedIn demands a more professional portrait. Consider these tips regarding the professional headshot: 1. Background – Establishing a neutral background ensures the focus is on you and not surrounding context. A light, consistent color will do just fine. 2. Attire – Dress for the job you want, for recruiters and potential employers can view your headshot at any given time. Your appearance speaks for itself, so keep jewelry and personal artifacts to an absolute minimum. 3. Hair – Stick with natural hair colors and clean-cut looks. Although the job industry is evolving, the majority of employers are going to have a preference for a more classic appearance. 4. The picture – Leave it to the pros. Capturing your professional self requires professional photography. Premier Portraits specializes in portrait photography. Give Premier Portraits a call to book an appointment before someone skips you in line for your dream job. Carve Your Best at the Pumpkin Fest! Premier Portraits invites you to come celebrate pumpkin season by attending the community-hosted Pumpkin Festival in Plainville on Saturday, October 22th, from 4-9pm. We’ll have a photo booth set up to capture you and your family in their most ghoulish getup! The PumpkinFest is an outdoor festival that features live music, prizes, games, a kid's costume parade, a pie eating contest, a plethora of food trucks, a haunted house, and over 50 local vendor booths. If that’s enough for you, bring your carved pumpkin to the Pumpkin Patch tent to be lit up on display on the library lawn for all to see. With that being said, the spookier the better! 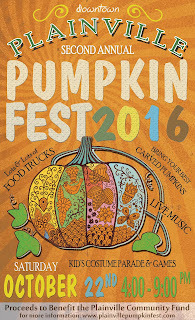 For more details about the festival, visit http://plainvillepumpkinfest.com, or for any questions about the booth, call us at (860) 223-4126. Fall is a beautiful time of the year to take family portraits. The leaves are changing, the sunsets are vibrant and the lighting is ideal for photographers. Local farms play host to timeless, fall activities, including corn mazes, comedic “Head in the Hole” boards, hayrides, petting zoos, and other, family-friendly pastimes. Jack-o-lanterns are the staple of Halloween photo décor. Orange pumpkins wait patiently atop green vines to be taken home and carved into family-favorite designs. Covered bridges and their classic, New England backdrops are a hot spot for autumn foliage photos. After a long day of raking with the family, celebrate by jumping into a pile of leaves, but don’t forget to capture the action. Round up the family and schedule an appointment this October with Premier Portraits! 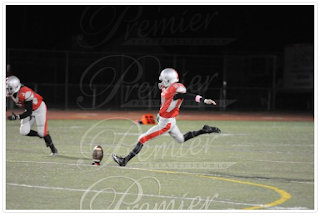 It’s football time in Connecticut, and Premier Portrait Studio is on the sidelines to capture all of the action! While cheering parents cradle steamy, hot cocoa, Premier’s professional photographers clench their cameras to catalog our aspiring, young athletes at their best during the game. Aside from the pigskin sport, Premier also covers an array of autumn athletic events, including group photos to ensure that no team member is left behind. But it doesn’t stop there . . . When the cleats come off and the dancing shoes go on, Premier joins in on the fun for homecoming celebrations! To read more about our high school services, visit: http://www.ctpremierphotos.com/high-schools/. To speak with us directly, dial 860.410.4303 (Plainville Studio) or 860.223.4126 (New Britain Office), or shoot us an email: studio@premierportraits.net. With the summer coming to a close, it’s time to start planning for a new school year. As elementary years spark the beginning of drastic changes in your child’s appearance, preserving the memory will require a professional hand. Our traditional fall program begins with a head and shoulders portrait. 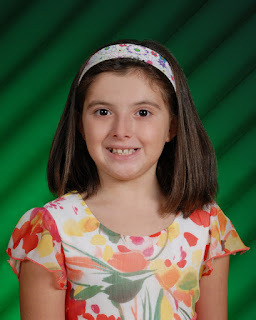 Parents have the option of ordering from a variety of packages or individual portrait units, as well as an array of different backgrounds to choose from. A retouching option is also available, as well as special products, including magnets and key chains. Still undecided? Premier offers a Second Chance Form, allowing you to place orders even after picture day has passed. Now is the time to schedule a meeting with Premier Portraits prior to the start of school year if thinking of switching to a new portrait school photographer. Summer is the season for everything outdoors. With the arrival of vibrant blossoms and golden sunsets, your portraits are guaranteed to come to life. 1. Family Portrait Photography It’s simple, really. The summer season, with its warm and cozy temperatures, provides exquisite scenery for family photos. Whether it’s the household garden or the nearest beach, the outside world puts a smile on every face. 2. Seaside Portrait Photography The ocean is perhaps the most calming setting for some quality shots. Although it can be messy, the beach and surrounding scenery is a popular spot. Post up by a pier for a more traditional shot, or do some exploring down by the rocks to uncover coastal creatures. Despite the beautiful view, it’s vital to avoid sand, which easily finds its way into your camera gear. Be sure to keep your camera inside its carrying case in between shots, and even look up the tide patterns for the day prior to arriving (unless you’re a great swimmer!) 3. Sunrise and Sunset Portrait Photography The other great fact about summer time is being able to comfortably watch a sunrise and sunset without shivering. This makes for opportune conditions to capture the rise and fall of the day. Preceding your journey, look up sunrise and sunset times, either via newspaper or the Internet (which is likely to be more accurate). 4. Landscape and Wildlife Portrait Photography Spring and summer comes with color. It’s no mystery that shooting during the warm seasons provides beautiful results. During close range shots, a smaller aperture will help define details close-up, such as a single flower out of a bunch. Premier Portrait Studio specializes in portrait photography. Click here to learn more! Hosting a photo booth makes for an excellent addition to virtually any celebration, from bar and bat mitzvahs to wedding receptions. Their gift of bringing guests together and promoting an overall sense of merriment have given rise to an increasing popularity. You will likely spot one next time you attend a festive gathering. Still not getting the picture? Here are 9 solid reasons why the photo booth takes the crown for the ultimate party favor: 1. They’re budget-friendly. Photo booths are so common in today’s party scene that they are available for almost any occasion, making them relatively affordable. While pricing varies due to additional features and rental times, a booth will generally start at $500. 2. 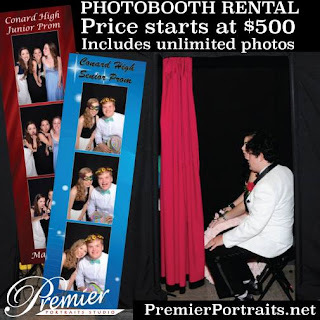 They’re great for any occasion From corporate gatherings to quinceaneras, photo booths fit like a glove. Their age-friendly nature and ability to amp up the entertainment make them unique for any special occasion. 3. They run themselves Photo booths require little to no work on your part as a host, which is great for an event with which you want to be more involved. Most photo booth companies start their time clocks only while the camera is rolling, meaning you are not charged for set up/break down of equipment, which keeps your wallet nice and heavy. 4. 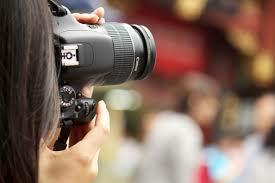 They provide photo customization to correspond with any event Get creative! Choose between color schemes, watermarked logos, added graphics, and many other options to ensure that your photo strips represent you and your celebration. 5. Props are included to help bring out the true animal in you and your friends Halloween comes twice a year in the photo booth world. The chances of you finding oversized glasses, 80’s hair metal wigs, dunce caps (let’s hope not), and other glorious props are not only likely, but are guaranteed. 6. They allow unlimited fun To cater best to those whose life mission is to exercise every prop available, or to those who are simply addicted to endless selfie-taking, all companies offer unlimited pictures throughout an event. To further extend convenience, photos are emailed to the host after the festivities have come to a close. 7. They are often available to be bundled with other services The less you have to do as a host, the more fun and freedom you will have during your party. This is why many companies offer packages that bundle together different services in addition to the photo booth, including photographers, videographers and more. 8. You can personalize photos In addition to being customizable, you can also bring in your own props to further personalize the experience. The options are endless! Premier Portraits’ studio offers photo booths, photography and videography all throughout CT. Visit our website to learn more!